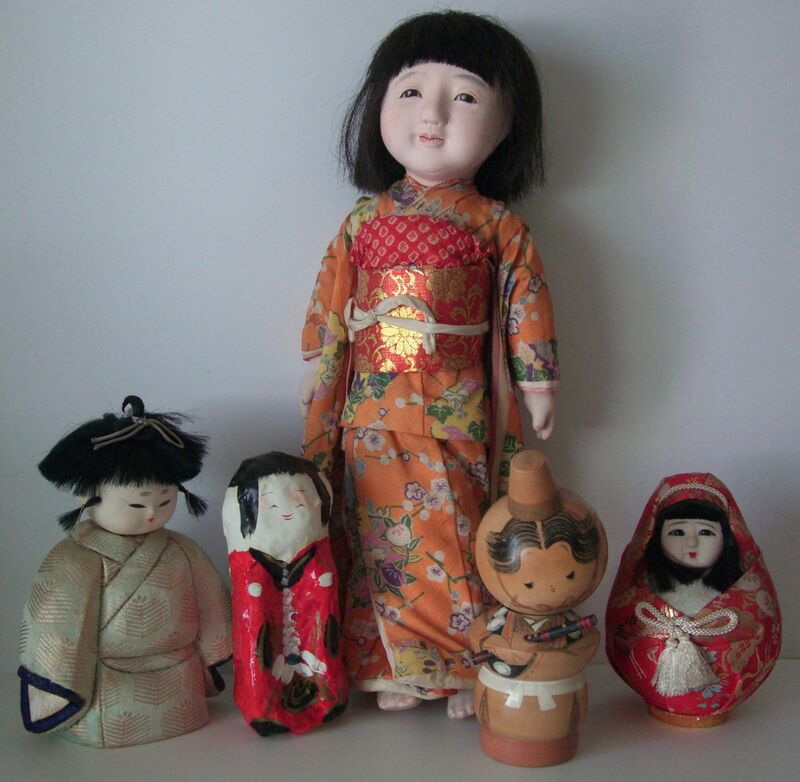 A friend from Himeji was clearing out the cupboards in her old family house in Aioi and put aside a few things she thought I might be interested in. 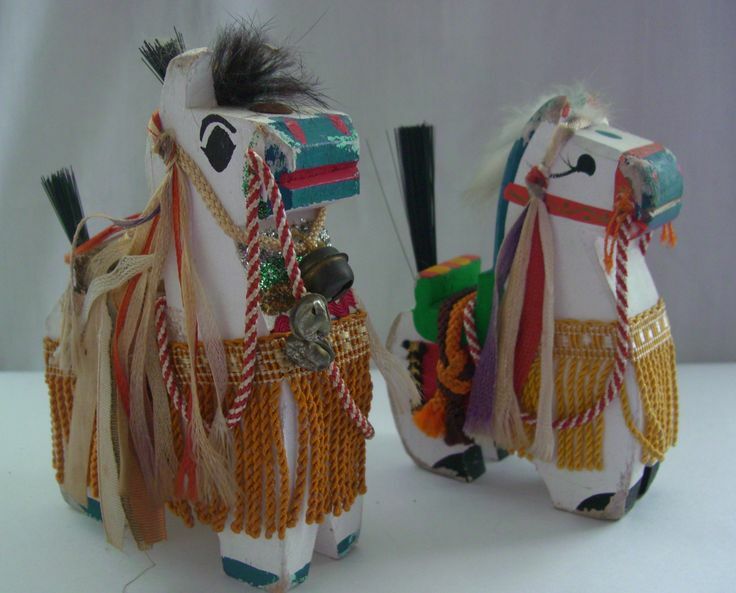 Amongst the pile was a pair of old white wooden horses (chagu chagu umako) from Morioka city in Iwate prefecture. How delightful they are! What a fierce (humorous?) looking pair of dolls! Knowing absolutely nothing about them, I bought them some months ago at the Shitennoji temple market in Osaka…. Takahiko Mikami (1916-1988) was a Japanese artist who was born in Tokyo and graduated from Meiji University. He started sumi-e brush painting when he was nine years old. The training at that time permitted students to paint nothing but bamboo, plum, chrysanthemums and orchids. If the four subjects were mastered in ten years, students could move on to more advanced studies. Speaking sometime in the 1960s, Mikami commented that in Japan and China artists under the age of thirty were not artists so they could not sell their work. After ten years of primary study it would take a further twenty years to make an artist! 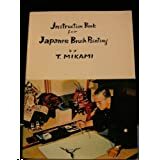 In contrast to being an artist and instructor in the delicate art of Japanese brush painting, Mikami was an accomplished athlete in various sports including Japanese swordsmanship, fencing, kendo, judo, sailing and yes, horsemanship! He trained horses for the Emperor’s family and was an instructor to the Royal Family in horsemanship. In fact, Crown Prince Akihito was his special charge. During World War II he taught horsemanship at the Japan military academy. And of course he painted horses, often. 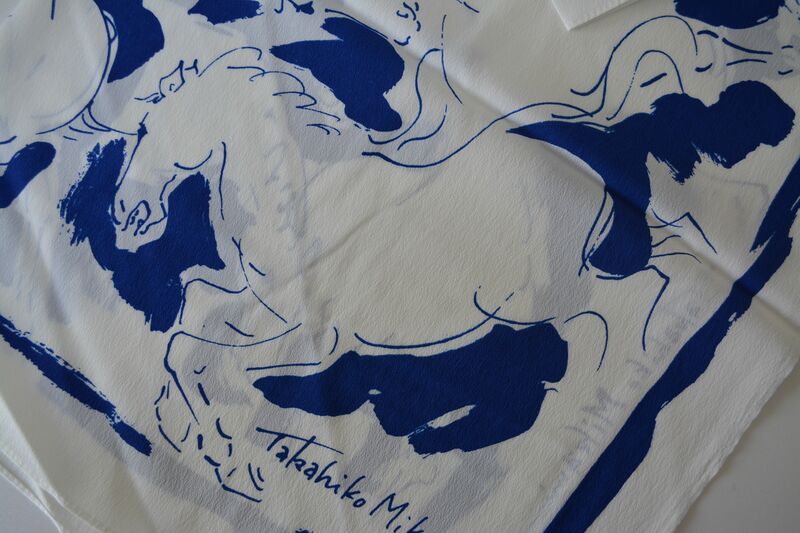 In fact, Takahiko Mikami is famous for his horse drawings. After World War II he moved to the US to study at the National Academy School of Fine Arts in New York City. He was keen to introduce Japanese art and culture to the United States and devoted much of his life to furthering cultural exchanges between Japan and the US. In the 1950s he founded and directed the Japan Art Center in San Francisco, a kind of headquarters for cultural interchange. 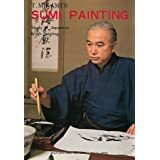 In 1957 he became somewhat of a television star when he made a 13 part series on KQED TV called ‘Japanese Brush Painting’. Viewers could buy an accompanying booklet and materials for their own practice at home. In 1958 he won the Ohio State award ‘Once Upon a Japanese Time’, a series of Japanese folk tales told with illustrations. Later he did a series of 23 lessons for children. 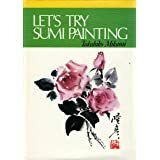 If you’d like to follow-up this blog with some additional reading or if you are inspired to practice brush painting, Mikami is the author of many books which are available through the usual channels such as Amazon. Or if like me, you’d like to watch the old TV series, it may be possible through the archives of the Paley Center for Media. My little cloth purchased at the market in Gokokujinja, Rokko, Kobe, has been the beginning of a fascinating journey of discovery. Mikami returned to Japan in 1967. What did he do until his death in 1988? Ah, that is a question to be answered on another day. Are you a fan of Takahiko Mikami’s art? I’d love to hear from you! Haijinx.org, (2015). Issa’s Comic Vision. [online] Available at: http://www.haijinx.org/I-2/articles/lanoue.html [Accessed 29 Jan. 2015]. “Japanese Painter a TV Draw (September 1, 1959).” September 1, 1959. N.p., n.d. Web. 10 Jan. 2015. <http://archives.chicagotribune.com/1959/09/01/page/55/article/japanese-painter-a-tv-draw&gt;. Mikami, T. and Tanahashi, K. (1961). You and Japanese brush-writing. Tokyo: Hozansha. “The Deseret News – Google News Archive Search.” The Deseret News – Google News Archive Search. N.p., n.d. Web. 10 Jan. 2015. <http://news.google.com/newspapers?nid=336&dat=19670225&id=0kIvAAAAIBAJ&sjid=FEoDAAAAIBAJ&pg=7059%2C5361699&gt;. “The Milwaukee Sentinel – Google News Archive Search.” The Milwaukee Sentinel – Google News Archive Search. N.p., n.d. Web. 10 Jan. 2015. <http://news.google.com/newspapers?nid=1368&dat=19590907&id=61VQAAAAIBAJ&sjid=gQ8EAAAAIBAJ&pg=7150%2C3627468&gt;.